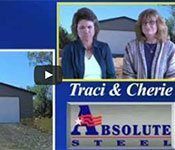 Your new metal carport is something we can customize to fit your needs. 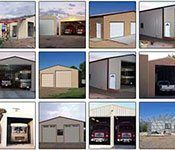 Whether that is accomplished by the application of different trim options or by having an end enclosure, our carports are very adaptable. 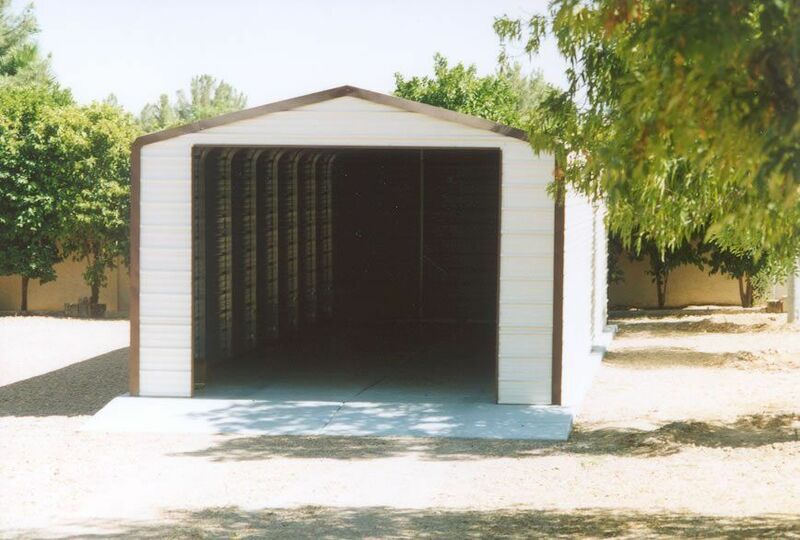 You can even start with a carport and later, add sides, a front and back enclosure and have a completely enclosed utility building or what we call the Sonoran Garage! 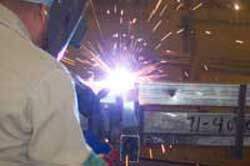 When ordering nonstandard features for your carport that require custom welds/parts we want you to know that all welds are performed in our shops by welders that are certified by the American Welding Society. 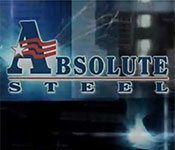 Carlos Ortiz, who obtained all his welding certifications on scholarships, is the head of that department at Absolute Steel. 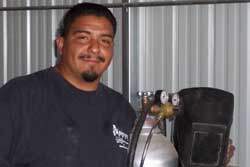 Carlos takes great pride in his work and values the certifications he has been issued. 12’ 14’ 18’ 20’ 24’ 30’ widths are available off-the-shelf, and pricing is available on this site. 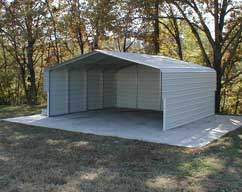 Carports are available in widths up to 40′. 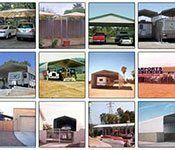 We call this system our HD or heavy duty carports. 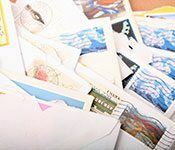 Call 1-877-833-3237 for pricing. 20’ plus expandable in 5’ increments or 4′ increments if snow loads are applicable. 7.5’ plus expandable in 1’ increments to 12.5’. Additional heights are available up to 15.5’ on our HD carports. Need a different size? 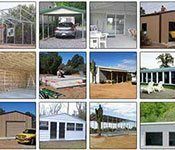 Call us, we manufacture our own metal carport frames and will be happy to help you. All structures over 20’ wide and in some areas 20’ wide structures require truss bracing. 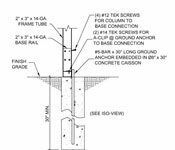 Based upon seeing a wide variety of engineered plans pass our desk, we make every attempt to make an experienced assessment of exactly what kind of truss brace system you’ll require for your area’s snow loads and seismic zone. 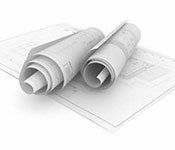 Each set of circumstances is different not only based upon your unique area (design criteria are available from your local building department) but also for unique circumstances. 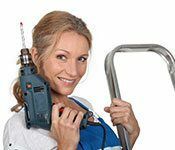 For example, should you intend to attach ½” OSB or plywood along with a heavier conventional roofing material (shingles etc.) to your roof, we would suggest a truss system designed for heavier loads. 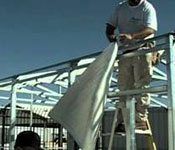 Please be candid when discussing your intentions with your building consultant so as to receive the best possible advice and so that your metal carport can be properly quoted. Applying trim to a carport has nothing to do with function. It is a question of your personal taste. 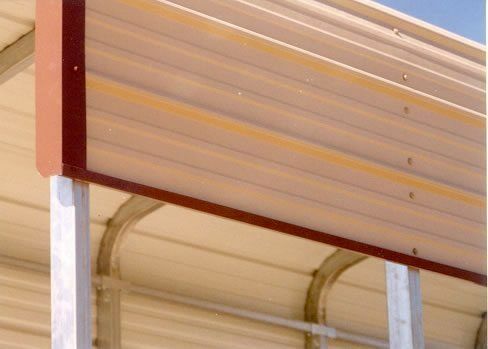 While most customers prefer the clean and sleek lines of their carport without trim, you may opt to use trim around the overhang of your carport to give it a defined look or maybe to compliment the exterior color of your home. However, if you are bringing one side down farther than the other, we recommend you not add trim as it will not look as balanced as without it. Note: The cost of trim is not included in our Standard Metal Carport pricing (but it is included in the Teton carport pricing). Trim on a carport is usually a 3” corner trim. 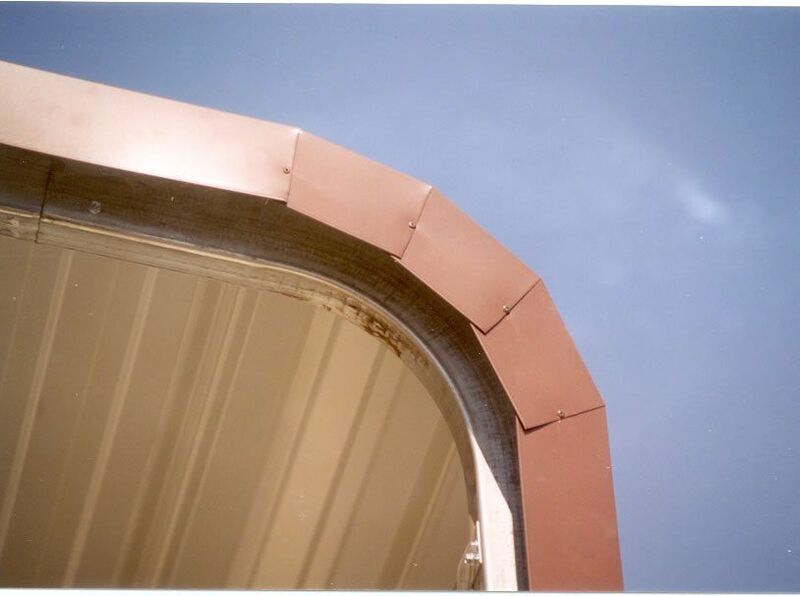 When installing trim, attach it to the “high ribs” of your panels with a #14 x 7/8ths “stitch” screw that you order in the same color as your trim. Corner trim comes in 10’6” lengths and you overlap the joints just a little when putting it on. When you get to the eave bend on the carport, use a pair of metal snips and cut a few lines in the trim which is going against the “frame side” of the carport as illustrated in the picture below. Cutting it in this manner will help the straight corner trim make the rounded corner of the eave. In the picture below, the carport is mounted on a trailer for use in trade shows so you might notice we riveted the trim where we cut it and it has extra frame bracing inside it. We did this because that particular carport sometimes goes down the road at 55 MPH or more. Those elements are not necessary for a carport that’s stationary. Along the bottom, use what’s called J-Trim or Jamb Trim. This will trim out the bottom sides of the carport to match the corner trim you put along the overhang. 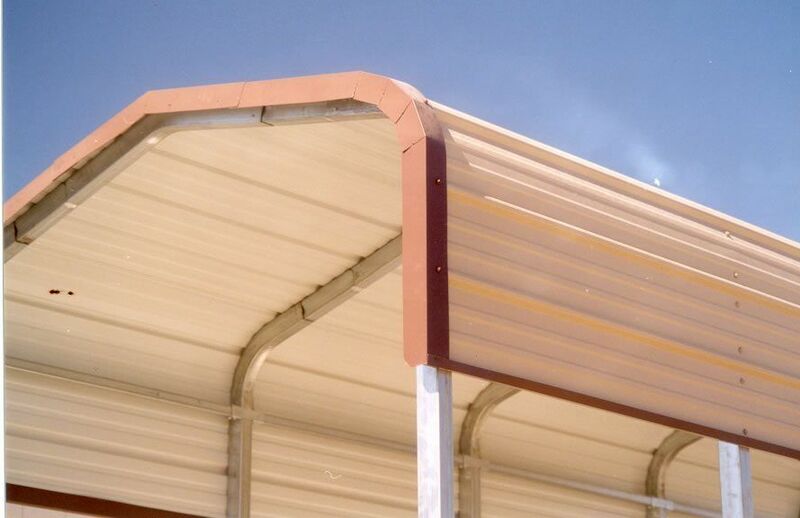 Tuck the J-Trim under the bottom of the last panel then use your screws that are the same color as your panel and attach the bottom of the panel with the J-Trim under it to the carport frame. 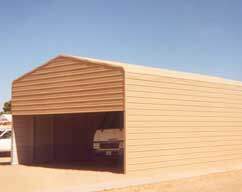 Back enclosures are used to close off one or both ends of a carport. One end enclosure can be used for added protection against the wind or other elements. You can add a Back Enclosure to the other end and have a garage door opening put in it, turning your carport into what we call a “Sonoran Garage”. 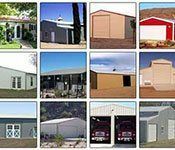 A Sonoran Garage is a garage that has the rounded eaves of a carport and has the exterior panels running all the way to the ground on all sides excluding the door openings. All the panels are attached horizontally. This type of garage, because of the panels being attached horizontally is not recommended for areas experiencing much snow. Within our local service area, we are occasionally called upon to create “partial end enclosures” which means an end enclosure that doesn’t go all the way to the ground. Partial End Enclosures are available nationwide. 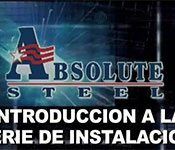 Please discuss with your Absolute Steel representative at 1-877-833-3237. 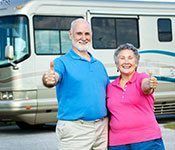 Should you decide to make your metal carport into a utility or Sonoran Garage, you’ll probably want a pedestrian door in addition to the rollup or sectional for your own personal access. 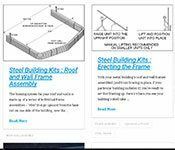 Available in kit form is a pre-cut Pedestrian Door frameout with accompanying trim. This package fits a 3’ x 6’8” personnel door that you’ll purchase at any hardware or building supply store.